Every year, I say how much I'd love to simply take the whole month of July off and enjoy the paradise that is summer here in Teton Valley, Idaho. 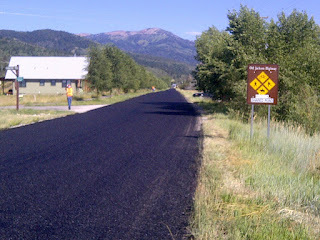 Now that I'm in the asphalt industry, I realize that probably won't happen until I retire...but I sure do enjoy the windows of free time that I have right now. This photo was taken over the past weekend, on top of Garn's mountain, with good friends Dave & Katie. 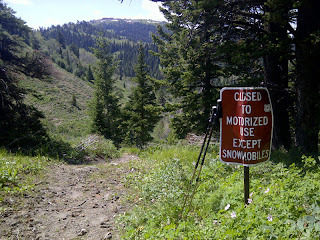 We mountain biked up and up in the Big Holes, until there was no more up. The payoff was 360-degree views on a perfect summer day, with Tetons in the distance. Wow. 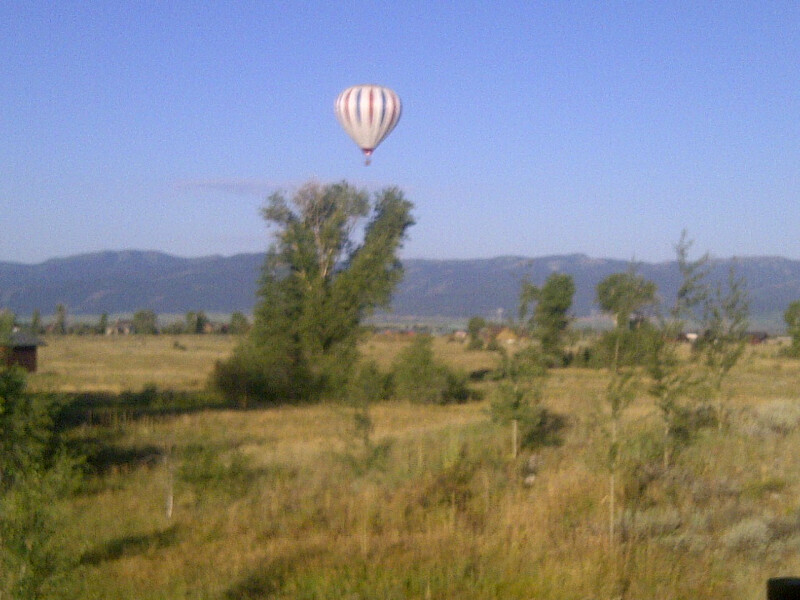 July is hot air balloon month in Driggs. Plenty of calm, sunny mornings this year made for exquisite conditions, and I managed to catch one on film near my house a couple of weeks ago. Beautiful, peaceful, adventurous, and fun. Early in the month, I found myself in other places supporting new friends. 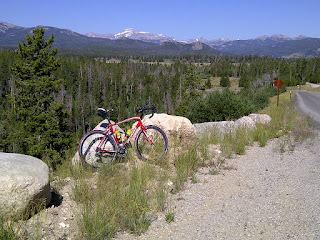 Accordingly, I spent the 4th of July in Lander, WY, and did a terrific road bike ride up above Sinks Canyon State Park. 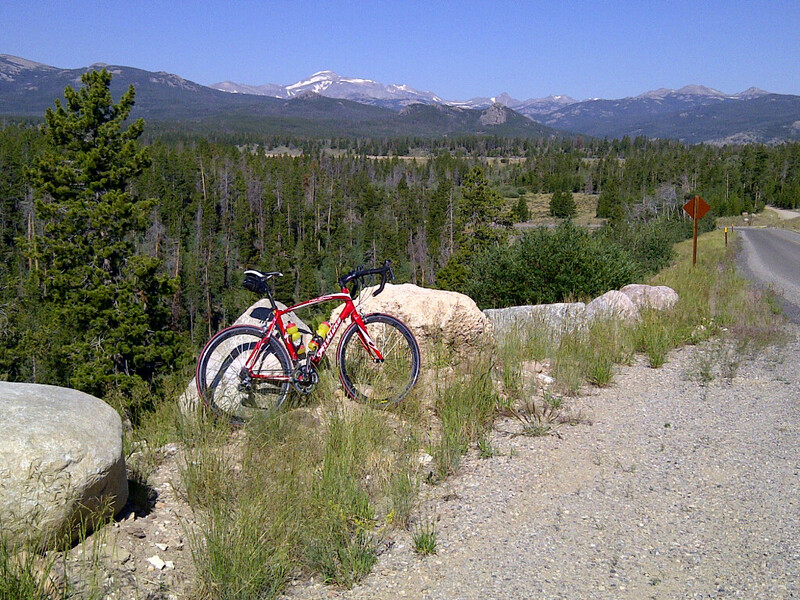 It's a classic, with great pavement, little traffic, sustained 6% grade, and regular switchbacks that eventually drop you into Worthen Meadow Reservoir. Wind River Mountain vistas beckon up there, and I'll definitely be back. 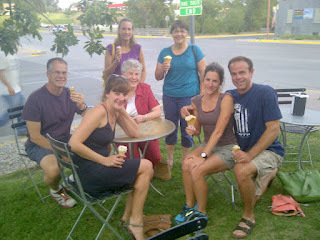 July also marks the core month for Victor's "Music on Main" event each Thursday evening. It's free (donations encouraged at the gate), with impressive nationally-recognized bands (like "March 4th"), food & beverage for sale by local vendors, and the biggest social scene in Teton Valley. 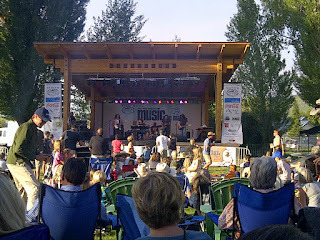 Nothing beats warm summer evenings listening to good live music, in the shadow of the Tetons, with good friends. 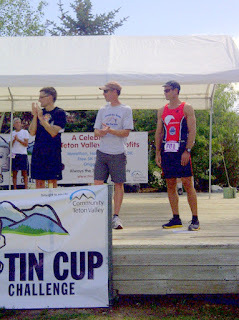 I also had Podium finishes in a handful of races this past month, including a triathlon, running race, and bike race. I honestly didn't think I'd ever pull off a podium (top 3) in a running race, but managed to do it in my age group with a sub-23 minute 5K at the Driggs Tin Cup Challenge. It's a good thing someone took a photo, because it might not ever happen again. In the end, it's all about people. As many of you know - and if you didn't, you do now - it's been a mid-life crisis year for me: career change, divorce, move, etc. Change is difficult, and there have been a lot of dark moments...but I had to be true to myself. I've survived, and am emerging with a new lightness of being, clarity, hope, and happiness. And I'm hanging out with a gal who inspires me, in every way. If you know me, you'll see it. 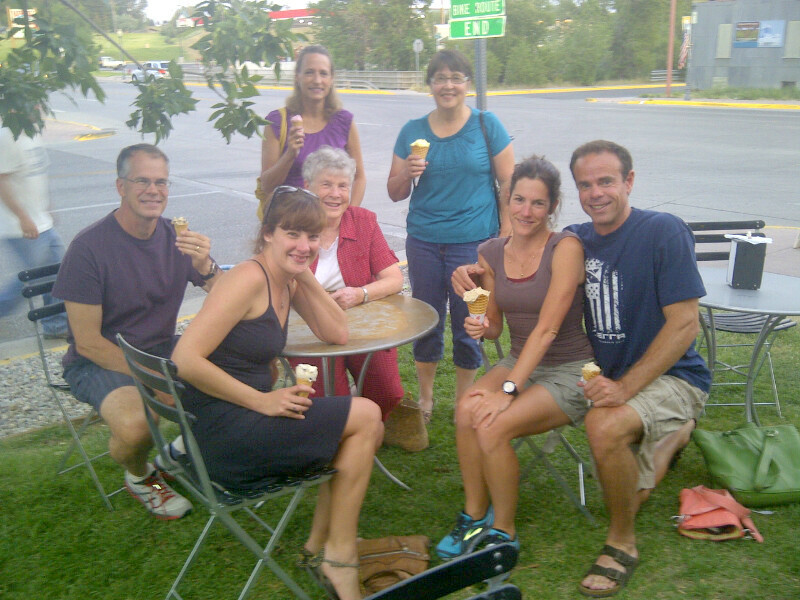 Here I am with Melissa and some of her family, enjoying soothing Lander ice cream cones on the evening of her mother's passing earlier this month. There's something to be said for the ability to muster smiles on a somber occasion. Continuing with the change motif: one thing that has always attracted me to mountains is their immutability, remaining permanent and unchanged, decade after decade, century after century. 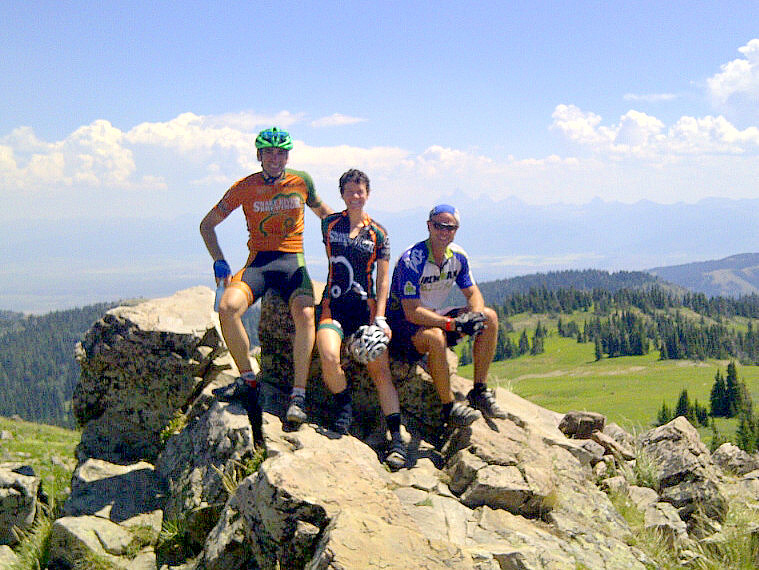 It's been more rewarding than ever heading into the hills around Teton Valley this summer, and absorbing the same views that I have every year for nearly 18 years now, in spite of the changes in the rest of my life. It simply puts everything in perspective. This is the top of Pole Canyon on a recent hike, looking south towards Fog Hill. These mountains have become a part of me, and I'm so glad.